A beautiful garden and property to visit in the spring. 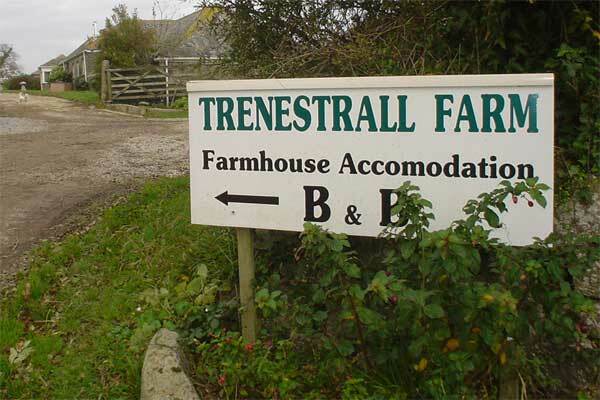 Trenestral Farm is a 300 acre family run farm situated on the Roseland Peninsula, in a truly rural setting offering Bed and Breakfast accommodation. The farm house is a 200 year old listed stone barn which has been tastefully converted, with the convenience of modern comfort whilst keeping interesting architectural features and has been in the family for three generations. The barn is part of the farm buildings which were listed in the1990’s and was converted by ourselves in 1989. Check what is happening in the local area by visiting Roseland Online. Visit Philleigh Fayres in July and August. How about a meal at the newly opened Tattams (March2018) restaurant on the sea front in Portscatho for a wood fire pizza. 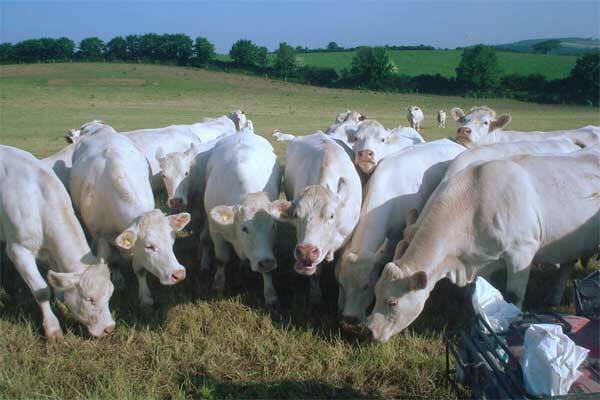 The farming enterprise consists of a pedigree herd of Charolais cattle some of which are shown at county shows, and a large acreage of cereals. We also run a small game bird shoot in the winter. .
"By the time we got back to Devon....."
"We so love visiting Trenestral and catching up......."
We aim to offer a relaxing environment for families and offer reductions for children. Pets are also welcome by arrangement. A warm welcome is assured and a hearty breakfast using local produce is available. The farm is off the main road, just 1 mile from Philleigh with its 16th century pub, about 10 minutes from the beautiful village of St Mawes and about 20 minutes from Truro. So although off the beaten track we are within easy reach of most of Cornwall with the King Harry Ferry offering a scenic way of travelling west.